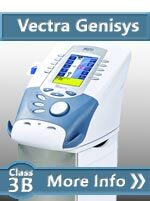 We often get questions about 2 companies that make flexible or curved light therapy systems. Because these system use light as the primary modality, they are often put into the same general group as cold lasers. 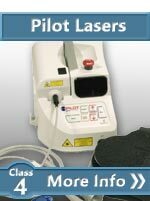 This article will discuss these light therapy systems even though they should not be considered laser therapy systems. 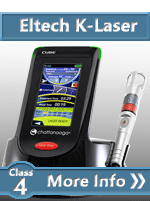 The first company has "Flex Laser Therapy" in their name and on every page of their website. They have a cool concept of using a flexible wrap-around device to treat large areas of the body. This is a cool concept and it would be even cooler if it actually had lasers in the wrap like the name implies. 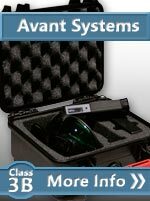 The problem with only one of the systems that they sell actually has a laser in it and it is a secondary system with a small pistol grip laser like one that we would recommend for trigger point therapy. 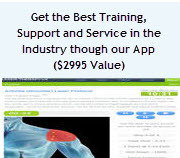 The main marketing for the company is about their flex wrap system that use SLD technology. 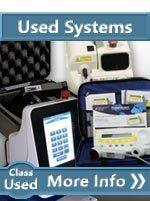 Even though it says laser at the top of every page, almost all the system they sell contain no lasers. One again, we recommend that you read the specs carefully before you buy any system. If you dig a little deeper and look at their components, you will find where they say that their wrap systems use SLDs and not laser. 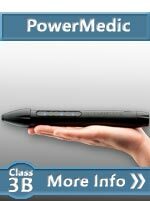 The second system is an inexpensive rigid curved therapy system. Once again, it is a cool concept and could be helpful for many different therapies. 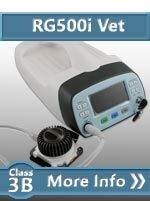 At less than $600, the price of this system is much less than any professional laser so it can be a good solution for some people. The down side to this system is that it uses LEDs and so is can not deliver the same energy dosage into the deep tissue in a similar time period. 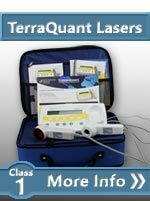 In a 15 to 20 minute therapy session, it could be as low as 1/10,000th the dosage you would get with a class 4 laser in a doctor's office. When it comes to working with serious problems, increasing the power level by 10,000 times is often the difference between night and day. If you want to learn about why SLD and LED technology have only a small percentage of the potential of a true laser, read our article on LED and SLD therapy options. 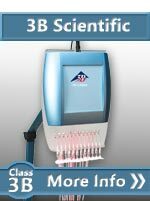 In general, SLD and LED therapy systems perform the same function as a laser but at a small fraction of the power level. 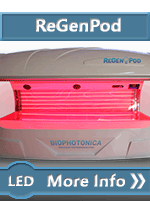 These systems really have more in common with light therapy system than cold lasers. 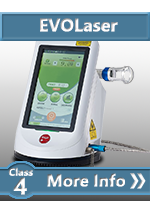 They can still produce good result for some cases but but they are significantly lower powered than a true laser systems and they can not deliver the dosages to deep tissue that a laser can. 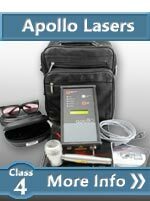 Another article that might help clarify why dosage is the single biggest factor in laser therapy, read our article about laser power.